Enroll your dog in an obedience class today! 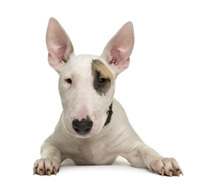 We offer dog obedience group classes in Baton Rouge. Click here for more information. There is nothing more valuable than Large Field Socialization for a relaxed, confident pet you can take anywhere. 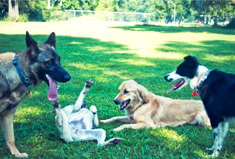 Learn more about Large Field Socialization to see what it can do for your dog. Mike instilled in me the confidence I needed to be an effective leader and trainer. My bond with Sparky grew strong during training, and it has continued to flourish. I always loved our dog but now I adore him. Mike is a genuine dog lover and a highly skilled trainer. Fleur de Lead is dog approved and veterinarian recommended."